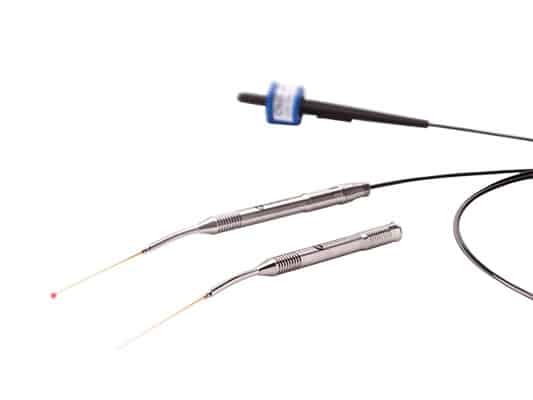 CO2 Lasers have revolutionized the way otolaryngologists approach surgery, enabling highly precise and, often, less invasive treatment of a wide range of Head & Neck applications. Unlike open surgery, CO2 lasers can remove cancer with fewer disturbances to structures, nerves, and tissue. Lumenis’ advanced laser systems enable highly controlled, smart tissue management for treating delicate anatomy and preservation of healthy tissue. Lumenis’ CO2 technology is associated with clean margins which is one of the most valuable objectives for pathology and malignant surgical procedures as well as patient healing process. TLM -Transoral laser microsurgery is the most used acronym for CO2 laser endoscopic transoral surgery of the pharynx using the CO2 laser. 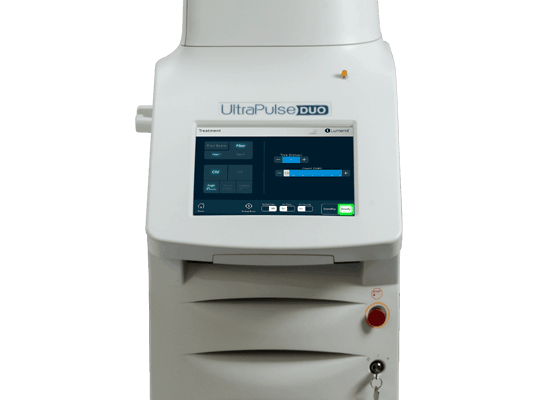 Lumenis CO2 laser TLM procedure is a synonym for precision. The term TLM is not limited to rigid surgical approach. It also represents flexibility. Surgical approach where compliance to flexible endoscopy and robotic surgery is possible and treating precisely on hard to reach anatomy is achievable. Studies have shown that compared with other types of lasers and treatment modalities, Physicians using CO2 lasers for ear surgery can attain superior outcomes (1,2,3). 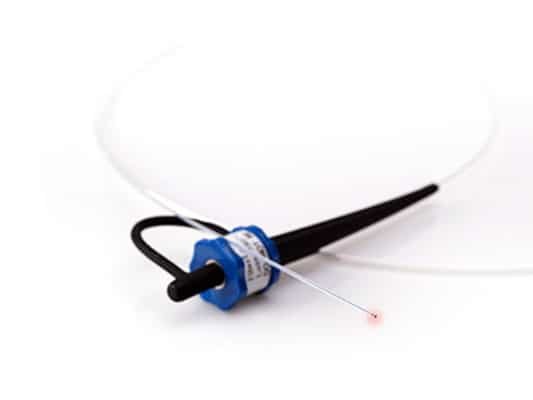 The Lumenis CO2 laser solutions are uniquely designed to provide diverse treatment options in the operating room or the outpatient setting, under local or complete anesthesia. 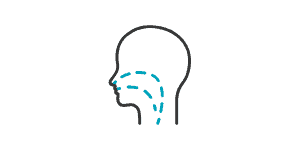 Partial list of approved indications for use includes: Stapedotomy, Acoustic Neuroma, Cholesteatoma, Eustachian tube dysfunction, Polyps and granulation tissue in external ear canal, Otitis media, Otitis media, Congenital aural atresia, Cholesteatoma, Otosclerosis, Revision stapedotomy, Cochlear implant revision, Acoustic neuroma. 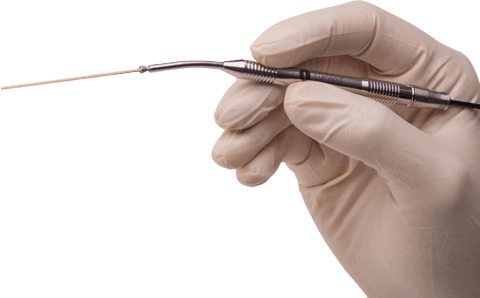 OtoLase is the latest innovation of flexible CO2 laser middle ear surgery. The microsurgical precision of the OtoLase delivery system makes it the ideal tool for delicate middle ear surgery and adequate treatment for small and sensitive auditory structures. With OtoLase, surgeons can expect new levels of precision, ease-of-use, durability and cost-effectiveness. Flexibility and Ease of Use: The multi-use straight and bent handpieces are designed with a grasping mechanism for simple maneuvering and optimal ergonomics. 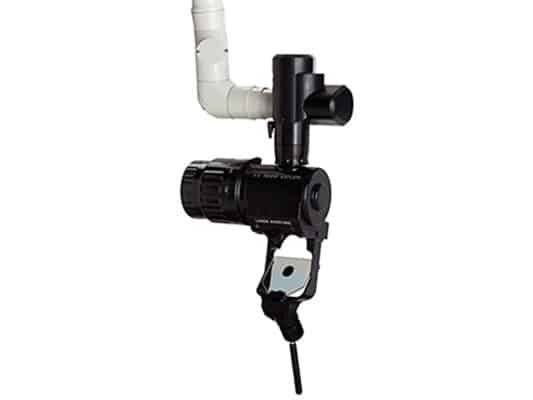 Complete Visualization: The handpiece, shaft and tip are designed to facilitate an effective operational field. Precision in Fenestration: As ensured by the use of a small spot size and ultra-thin, highly durable tip. Predictable Tissue Interaction: Delicate layer-by-layer tissue removal with minimal thermal spread. Maximal Versatility: With interchangeable handpieces and single use straight and bent tips. Collaborating closely with leading physicians, Lumenis developed the MicroLase™ Otology Set -a comprehensive Otology solution. 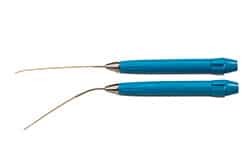 The solution includes two unique, single-use handpieces, for easy access to all parts of the ear, and an advanced reusable MicroLase fiber. 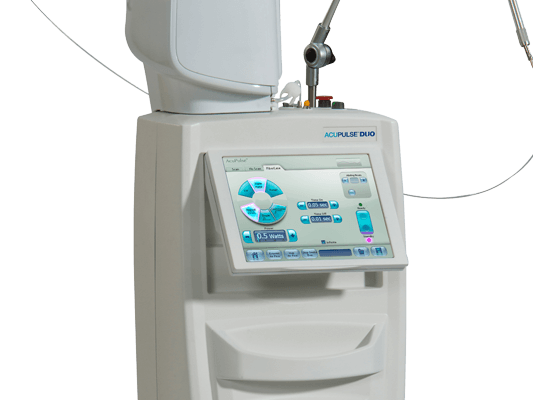 The MicroLase™ Otology solution is designed to expand the use of the AcuPulse™ DUO and AcuPulse™ 40WG CO2 laser systems for ear surgery, enabling the surgeon to attain the desired tissue effect and perform highly complex Otology surgeries to perfection. Marchese, M.R., et al., “One-shot” CO2 versus Er:YAG laser stapedotomy: is the outcome the same? Eur Arch Otorhinolaryngol, 2011. 268(3): p. 351-6. Lesinski SG, Lasers for otosclerosis–which one if any and why, Lasers Surg Med. 1990;10(5):448-57. Motta, G. and L. Moscillo, Functional results in stapedotomy with and without CO2 laser. ORL J Otorhinolaryngol Relat Spec, 2002. 64(5): p. 307-10.